With Halloween around the corner we thought it would be festive and fun to incorporate pumpkins into our flower parties this month. Thankfully one of my friends here in Charleston (fun fact: we also went to college together) was having her birthday- seemed like the perfect time to celebrate with PUMPKINS! 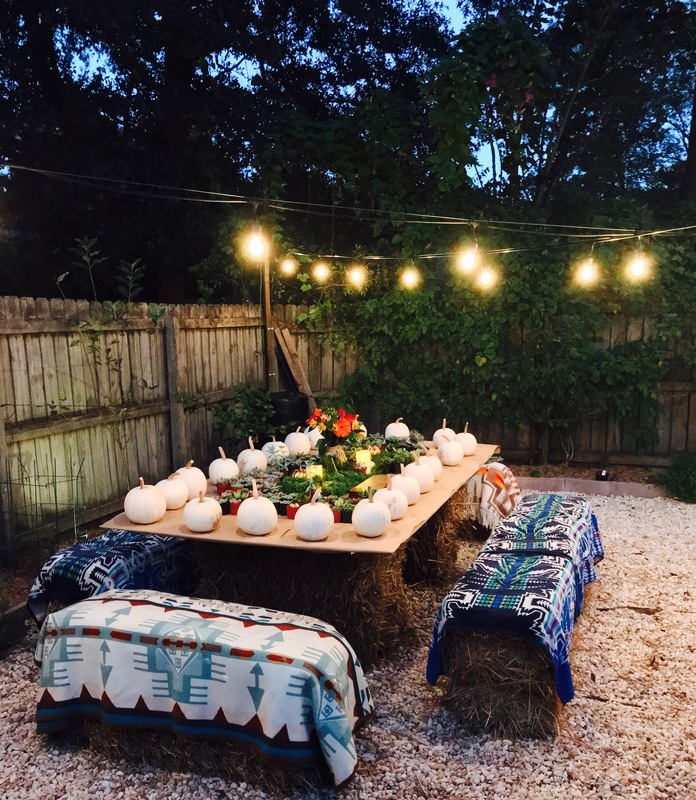 So we took it one step further and had a garden birthday party with pumpkin succulent centerpiece DIY making in a fun fall themed back yard setting.